Here’s how to watch IPL 2019 live streaming online for free. The Indian Premier League season 11 has already started. The league tournament has completed its one decade. Now, it’s the beginning of a new one. The IPL has been one of the most followed T20 leagues in the world and rules over India every year for 50-60 days. The tournament started back in 2008 and soon, it became one of the most watched shortest form of cricket around the globe. The best of Indian cricket players and rest of the world play to entertain the audiences. The league has been growing with every passing edition. It’s the 11th season for IPL in 2019. And it promises the biggest so far. Delhi Daredevils and Rajasthan Royals have been re-included after two years of ban. The Indian Premier League season 12 officially starts in April and will conclude in May with the IPL winner 2019. This time, there are eight teams participating namely – Delhi Daredevils, Delhi Daredevils, Kolkata Knight Riders, Kolkata Knight Riders, Mumbai Indians, Royal Challengers Bangalore, Rajasthan Royals, and Sunrisers Hyderabad. The official broadcaster for IPL season 12 is Star Sports Network. The audience at their home can watch the matches on TV on Star Sports 1, Star Sports Select 1 and their respective HD channels with English commentary. The Hindi viewers can switch to Star Sports 1 Hindi and its HD version. The company has bought the rights for Rs 16,347.50 cr for the next five years to come. Don’t get disappointed if you don’t have the access to your television or you are on the move. You can enjoy the matches and catch the latest and live updates. Following are the multiple ways to feed your IPL hunger. You will be able to watch IPL live cricket match today online. It has become easier than before. If you are in India and want to watch IPL live streaming, you can open the Hotstar app or can visit the website hotstar.com. You will be asked to buy All Sports pack and it costs a mere Rs 299 a year, and it becomes Rs 25 per month. I guess it’s not too costly for anybody. With this pack, you will be able to watch all the matches of India national cricket team on its tours. Moreover, there are options like Hotstar Premium which starts at just Rs 199 per month. This pack will bring you all the premium entertainment shows along with the league. Besides the above-mentioned ways, you can also watch Indian Premier League 2019 live stream for free on AirTel live tv app and Jio TV app. You just need to download the said app(s) on your smartphones – Android or iOS. Once downloaded, open them, register with your phone number and you are ready to watch IPL season 11 matches without a single penny. The same is applicable to Jio customers. 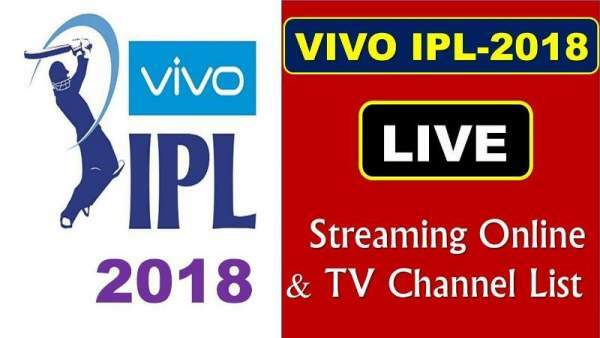 They can enjoy 2019 ipl live streaming without paying any extra money on Jio TV app. In such a competitive world, every telecom company is unveiling enticing offers to counter the competitors. To compete with AirTel and Reliance Jio, Bharat Sanchar Nigam Limited has also released its luring plans. For Rs 248 prepaid plan, you will get a total of 153 GB for 51 days with a daily cap of 3 GB. It’s a limited offer available only till April 30, 2019. Mukesh Ambani’s Reliance Jio has launched new offers to lure more customers. In the new offer, the users can watch Indian Premier League 2019 matches for free. The new pack has been named – Cricket Season Pack, and you get 102 GB of data for 51 days. It will cost you Rs 251 only and offers free live streaming of IPL 2019 matches. The schedule will be updated as it releases officially. Previous articleTeen Titans Season 6 Release Date: Anime Show To Premiere in 2019?